The Reasons Your Onboarding Process Makes or Breaks Employee Performance. Sign up to get access to the recording. Data shows that one third of new hires quit after the first six months: a reality your community can’t afford. The latest research shows that proper onboarding is one of the biggest factors that impacts employee retention. To ensure your onboarding process is optimized to help you keep the best people working in your community, register for our webinar. Explain the importance of proper onboarding within the first 30 days. Explain the role that culture plays in employee satisfaction. Offer actionable tips for proper onboarding for the first day, week, and month. This webinar will provide you with insights and actionable advice to make sure you are maximizing your investment in each new hire, and giving them the tools they need to be successful and satisfied working for your municipality. 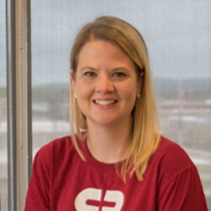 As a human resources business partner, Jessica is primarily responsible for the employee learning, development, and onboarding programs at CivicPlus. Her expertise in stimulating enhanced employee growth and performance has been influential in helping CivicPlus maintain its annual ranking as one of the Inc. 5000 fastest-growing private companies in the United States. Over the past three years, Jessica has worked to shape the training and leadership development programs at CivicPlus, which have served as key components of the company’s employee retention strategy. A former department manager at CivicPlus, Jessica’s past leadership experiences have also helped her to gain a comprehensive understanding of the needs of both individual contributors and managers from a training and development perspective. Her passion for learning and commitment to ensuring all CivicPlus employees reach their full growth potential has allowed CivicPlus to continually achieve its corporate goal of retaining some of the best talent in the technology industry.